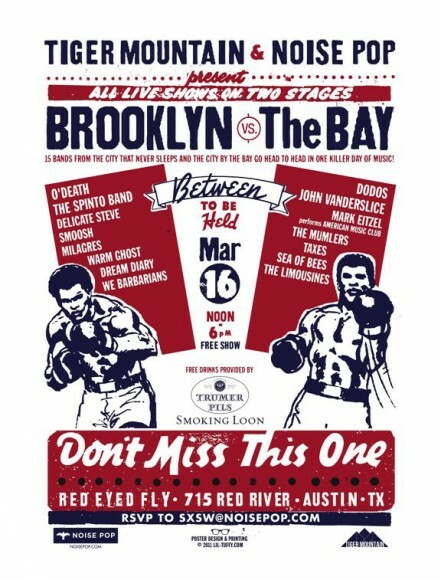 San Francisco and New York couldn’t be further apart geographically, but Tiger Mountain and Noise Pop are co-sponsoring an excellent unofficial SXSW showcase featuring artists from both The City by the Bay and The City That Never Sleeps. Smoosh, The Spinto Band and O’Death, among others, will be representing California, and The Dodos, John Vanderslice, Sea of Bees and others will rep for New York. More details on the free daytime showcase on the flyer below!